An exciting monthly event featuring poets, actors, singers, and more in a festival-type atmosphere in the heart of Downtown Ft. Lauderdale. 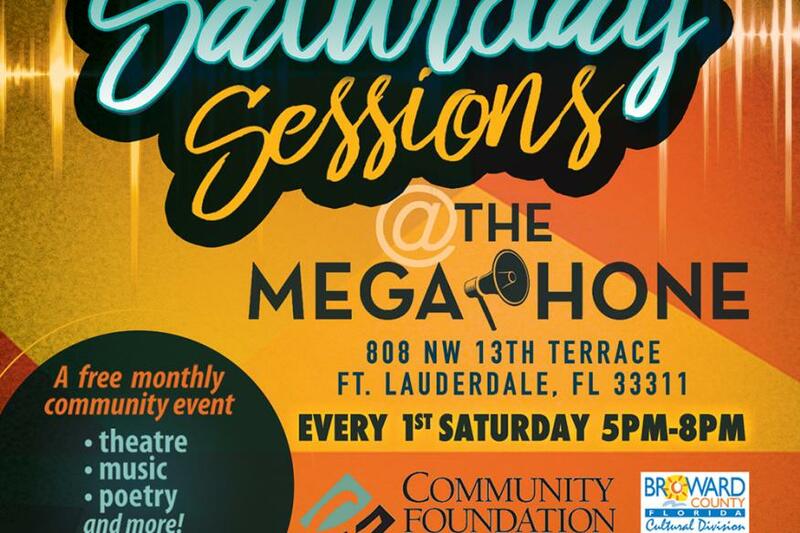 Saturday Sessions is a monthly gathering bringing dynamic performances to the heart of Greater Fort Lauderdale (Historic Sistrunk). It is a free community event featuring live theatre, music, poetry, and more. At Saturday Sessions, community organizations will have opportunities to advertise their services, and small businesses will have a platform to grow and engage new audiences. The mission of Saturday Sessions is to create an authentic cultural exchange between emerging artists and a community prepared to support them. 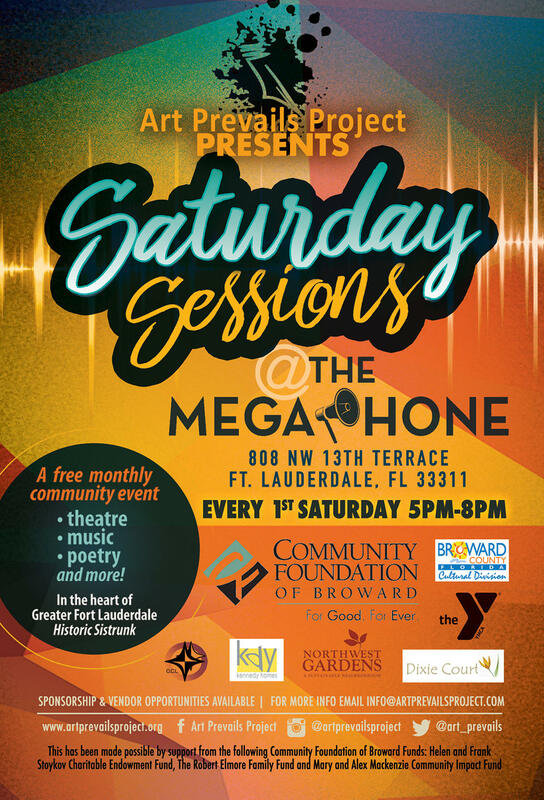 Satruday Sessions have been made possible by support from the following: Community Foundation of Broward Funds: Helen and Frank Stoykov Charitable Endowment Fund, The Robert Elmore Family Fund and Mary and Alex Mackenzie Community Impact Fund.